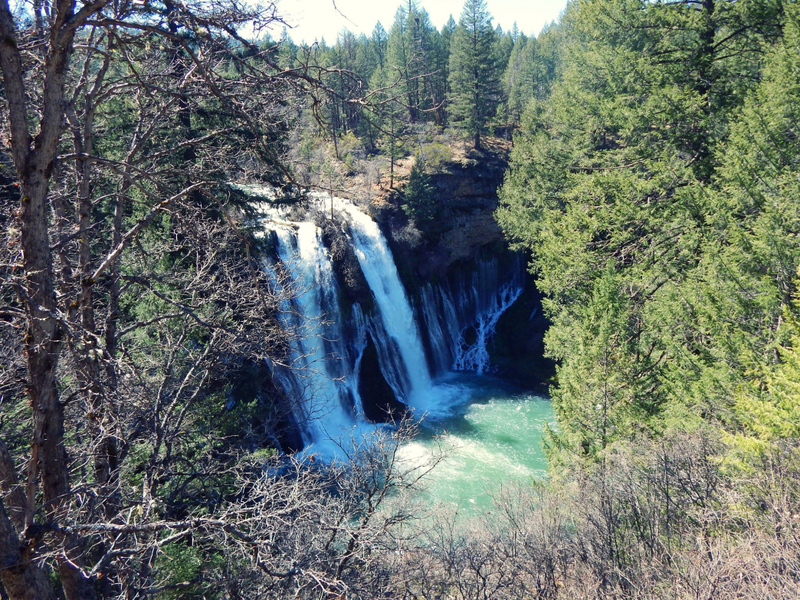 About 100 million gallons of water pass through Burney Falls every day. Towards the end of the trail, you follow the path across a bridge. Along the trail you will find benches with bits of inspirational poetry burned into them. 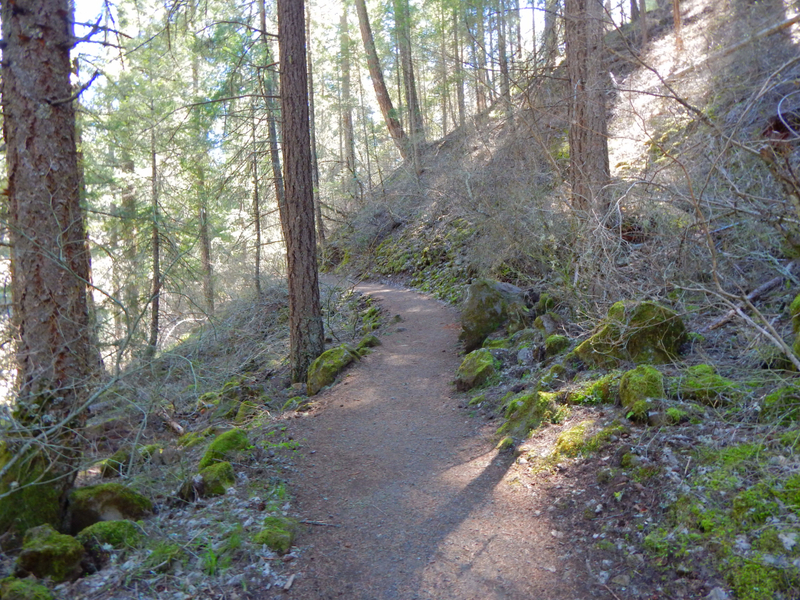 The Burney Falls Trail winds through lush forests and babbling creeks. Halfway through the trail, you will cross the bridge via a pedestrian bridge. 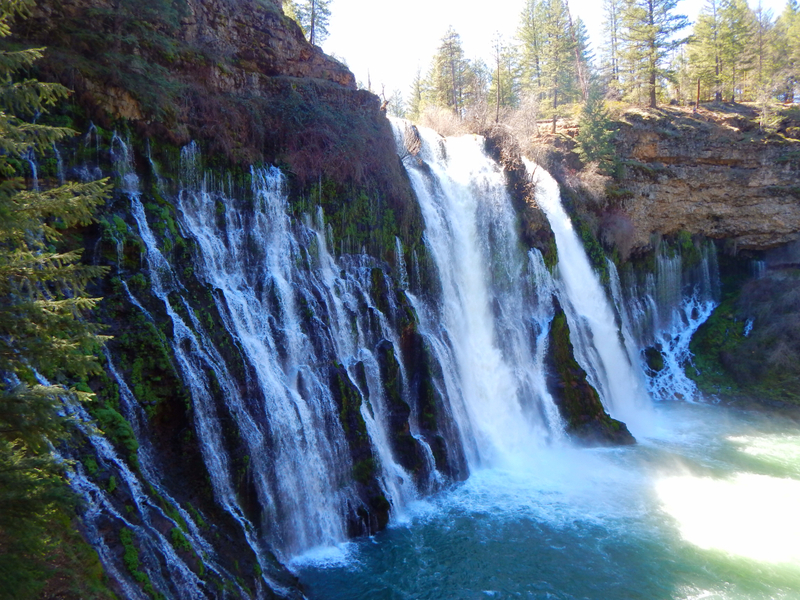 At 129 feet tall, Burney Falls is one of the most beautiful waterfalls in California. 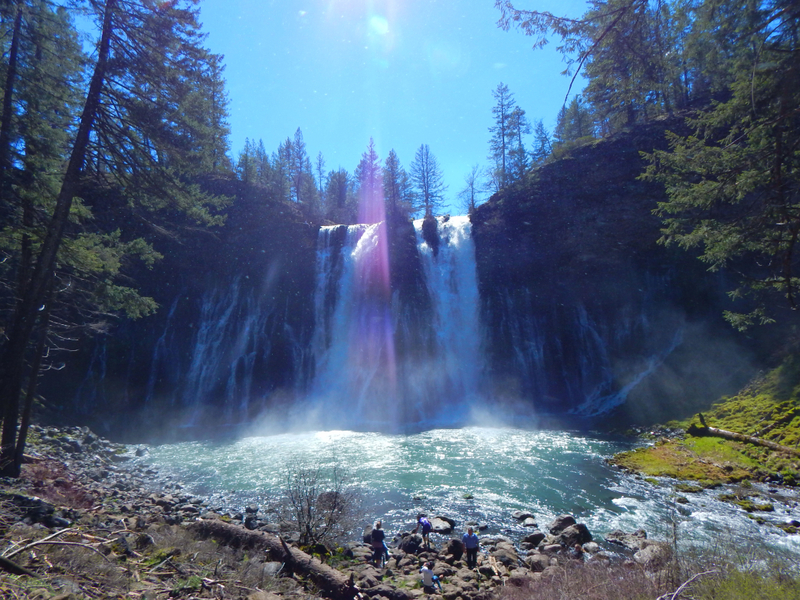 View from the base of Burney Falls. Referred to as “the eighth wonder of the world" by President Theodore Roosevelt, Burney Falls features a 129-foot waterfall with easy access and no shortage of scenic splendor. The most difficult portion of this trail is about a third of the way in where there is a bit of a climb. This is a short hike, but there is a lot to see along the way so an hour will give you plenty of time to take it all in. Burney winters are cold and snowy. Check road conditions and contact the park for accessibility prior to heading out. There is an $8 day-use fee. Featuring an amazing 129-foot waterfall and benches inscribed with inspirational quotes, Burney Falls is a must-see in Northern California. 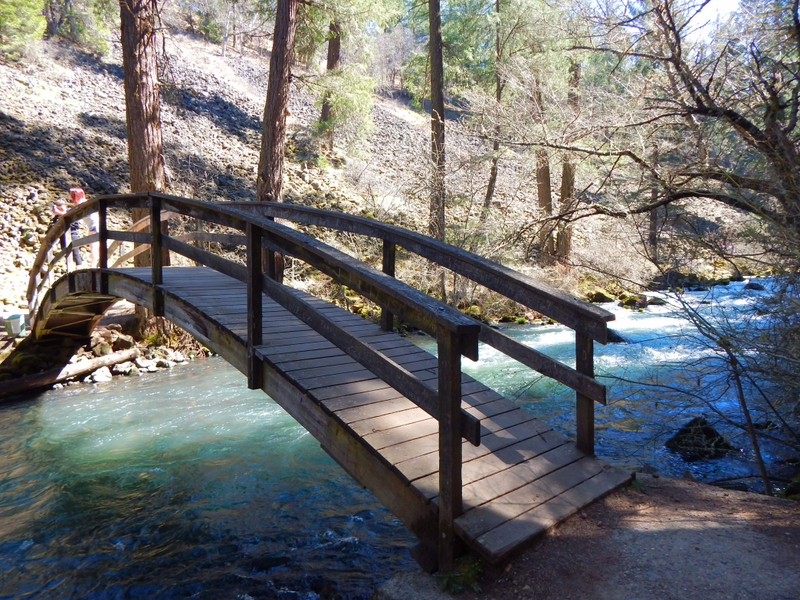 Nestled on 910 acres of land, McArthur-Burney Falls State Park offers five miles of hiking trails (including PCT access), a historic cemetery, and a campground. Cabins are also available, and a convenience store is located on site. Beginning in the parking area closest to the falls, the trailhead offers panoramic views of the falls. From the trailhead, turn right and follow two paved switchbacks toward the falls. After five to ten minutes, you will arrive at the base of the falls. To the far right of the falls is a spacious area off the trail where you can have a picnic, relax, and take in the view. Just past this area, the path turns to dirt and meanders along a creek. After about 0.7 miles, you will arrive at a pedestrian bridge. Cross this bridge and turn right. The trail will switchback left and make its way up the hillside. From here, the trail narrows and features the most elevation gain as you climb your way to the top of the falls. The views are worth the workout. 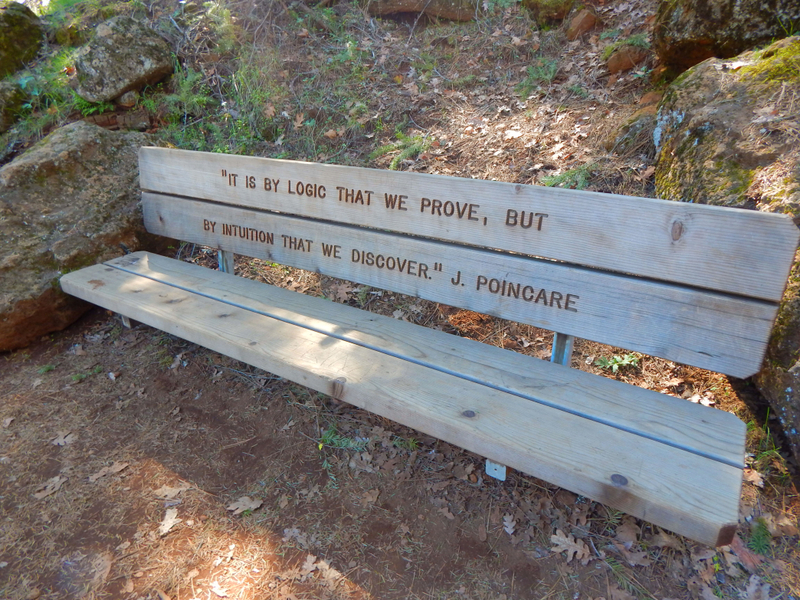 If you need to rest along the way, there are several benches inscribed with quotes from William Yates and Henri Poincaré. After continuing on past the top of the falls for about ten minutes, you will arrive at a bridge. Cross this bridge and continue right. Do not turn left after the bridge as this portion of the trail has been closed due to safety issues. The trail will climb up and turn left ending in the parking area completing the loop. This trail can be completed by hikers of all calibers. The elevation gain is 100 feet, and that’s about three quarters of the way into the trail where the path goes up towards the top of the falls. If you want to get close to the falls but are unable to make the entire hike, the initial portion of the trail that provides direct access to the falls is paved. From Redding, take I-5 N toward Weed/Portland. Take exit 680 for CA-299/LakeBlvd. Keep right at the fork, follow signs for Burney/Alturas/California299 E, and merge onto CA-299 E/Lake Blvd E. Follow CA-299 E to CA-89N. 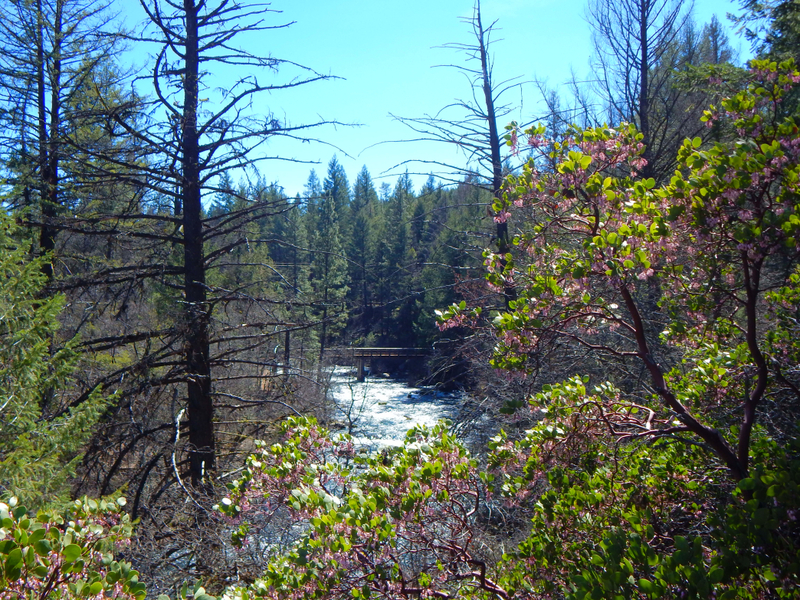 Merge onto CA-299 E/Lake Blvd E. Turn left onto CA-89 N. Drive 6 miles and arrive at McArthur-Burney Falls Memorial State Park on your left. This is a year-round trail. However, Burney winters are cold and snowy, so it's important to check road conditions and contact the park for accessibility prior to heading out. Dogs cannot be accommodated on this trail.